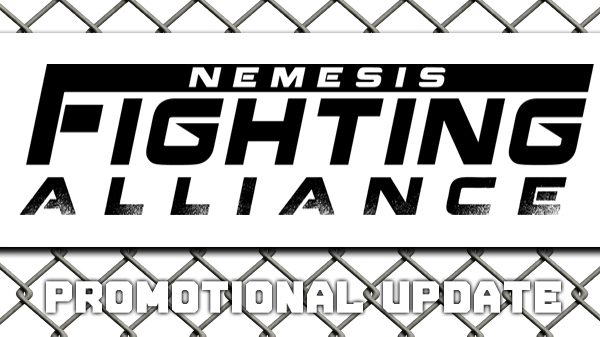 When the folks from the Nemesis Fighting Alliance wrapped up their show in the fall of last year, owner Beejay Smith knew it was time for a change. "I stood back from Nemesis for a while and noticed we kind of got away from what we started this for." Smith said. "This isn't a job this is a hobby, a passion of mine. I was deciding between bringing on some new partners or just quitting." October's "Kicks Are For Kids" was a charity event at benefiting the St. Francois Co. Sheriff Department's "Shop With a Cop" program. A charity program designed to provide Christmas gifts for under privileged, needy and at risk children. While the event was a major success for both the charity and the fans in attendance, Smith decided to take a much needed break. "We took some time off," Smith said. "It was becoming too much of a job. Now I have a good career, I can go back to this and it can be my hobby again." After a six month break, Smith is recharged and starting to ramp up for his next show in August. "When this is your only income, you focus more on the dollar signs." Smith said. "You have to support your family, I understand that, but if you use it as a hobby you can put more into it as far as the bells and whistles are concerned. The NFA isn't about me making an income it's about me making a statement. That's why fighters love fighting on my show." Looking for reinforcements, Smith brought in a lifelong friend and NFA support in John Gayler and a trusted lieutenant in Josh Waller, who has been running the backstage at NFA shows for a long time. "They bought into the company, for about 66%," Smith said. "They bring management and other skills to the show. Waller is a general manager at his job. He's great at managing people. John has been a big part of NFA since the beginning, and has been a big sponsor." The 37-year old Gayler owns four Dominos Pizza chains in the Farmington area. Gayler has been on board as a sponsor for Nemesis since the beginning but now will be a co-owner in the fight company. "I've kind always been helping Beejay, and we're finally make it official," Gayler said. Gayler is excited to be a part of the NFA team, eager to put his business connections to good use. "One of the things I do well is that I can advertise well." Gayler said. "We're definitely going to be doing some things at Dominos. We'll see. I don't do it for profit; I do it just to help Beejay out." While Gayler will focus on the marketing side, Waller will continue to run the show's backstage logistics. "Waller is going to be running the actual shows." Smith said. "He is extremely organized and has helped get our shows running smoothly." The additions of Waller and Gayler will free up Smith to focus on other aspects of improving NFA. "This will let me focus on building stronger relationships with the gyms and other facets of the show." Smith said. "I'll have more time with the fighters and the matchmaking. More time to spend with the photo shoots and interviews. It's hard to have fun when you're too worried about losing $10,000 which can easily happen." The new Nemesis team has already started planning their next event. It's tentatively scheduled for August 2nd in Arnold. NFA will leave the friendly confines at the Farmington Civic Center and head north. "We're moving into the South St. Louis region." Smith said. "Too many shows dropped off and they need to get their MMA fix up that way. There are several shows up north at the casinos and the Heart of St Charles. You got the Family Arena shows. I'm going to cover the South County/Fenton/Arnold area." The Big Eagles Hall in Arnold will host their return, a much smaller venue than what Nemesis fans are used to. "The Family Arena is awesome and all the fans are there but it's not like the fighters can meet and greet all the fans," Smith said. "This is a more personal experience. Huge shows are fun, but you have to have small shows to make local MMA successful." Smith sees a niche for smaller venues that he is looking to fill. "All the smaller venue shows are almost gone." Smith said. "There are hardly any more 500-600 seat shows being put on right now. There are no more intimate settings. There's so much MMA going on now it's not exotic. You have to have the wow factors and that's what I do. Don't get me wrong, it's not a smoke and light show, we have great fights too. One of the reasons I started NFA was because I wasn't impressed by local shows. The fighters were putting on the shows for you, why not put on a show for them. " In addition to finding new crowds, Smith hopes to showcase some of the familiar Nemesis faces to audiences as well as showcasing local talent in the area. "Most of the Nemesis regulars will be returning." Smith said. "We have a loyal following of fighters that will only fight for us, and they will be back, and of course some Arnold and Festus area fighters as well." Smith and partners will move forward with an air of confidence in their fourth year of putting on MMA fights. "I'm not the new guy in town anymore." Smith said. 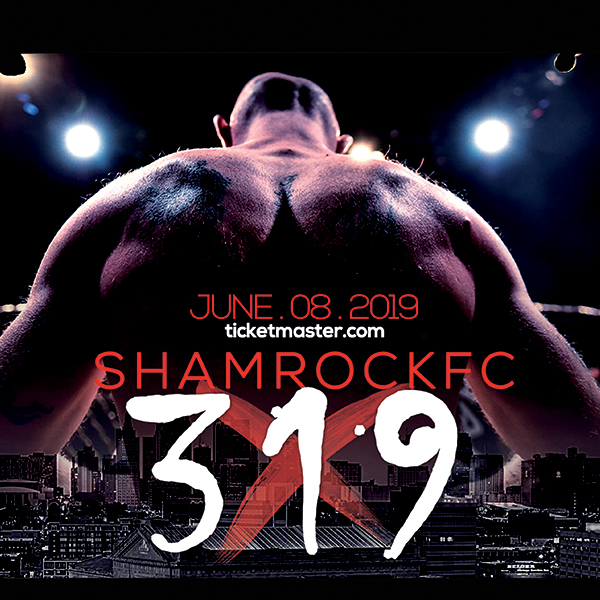 "When I started you had the GFL, Cage Champs, Jim Jenkins, Shamrock, of course. All these people were doing their shows, and I was considered the new guy. Faction, Fight Hard, we were all considered the new guys. I didn't want to compete with those guys, it was silly, so I went to my own market and took over. Nobody is going to come to Farmington and do the shows I do. We put our stamp on the area." Look for a completely overhauled NFA when they return this summer. "We'll have a show in August in Arnold." Smith said. "And probably another show this fall at the Civic Center. This venue will be exclusive to us. Also we'll have new merchandise, new designs, bigger and better lighting production. A completely new look all together. We're going to really start selling our brand."